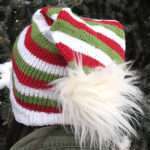 The Little Christmas Stocking is the ultimate Christmas quick-knit! 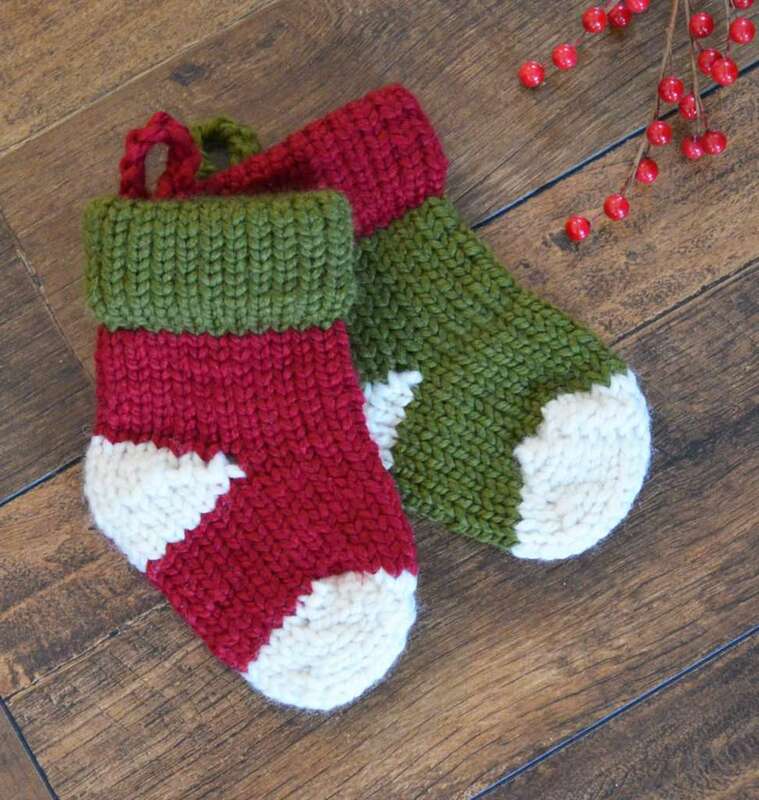 The stocking is just the right size for an ornament, an accessory, or a small gift holder. Adjust the length of the leg to fit more whimsical items inside such as wine bottles! The holiday possibilities are endless! YARN: Lion Brand Wool Ease Thick and Quick in colors Cilantro (green), Cranberry (red), and Fisherman (cream) used in sample. MC (leg and sole): Approx 17 yards (27g) chunky weight yarn. CC1 (hem): Approx 17 yards (27g) chunky weight yarn. CC2 (heel and toe): Approx 9 yards (13g) chunky weight yarn. Cast on 24 sts in CC1. Prepare to work in the round. Rnds 1-20: k in CC1. Form hem: Lift all stitches from the cast on row up onto the loom, one by one, being careful to keep your stitches straight. Pull the bottom stitches over the top stitches to complete the hem. Note: For a longer stocking leg, knit additional rounds until desired length is achieved. The heel is completed using short-row shaping over 12 pegs in CC2. Unlike other socks, this pattern does not require a “wrap and turn.” This can result in tiny gaps at the turning point of the heel. 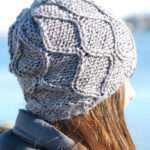 Although not necessary for this pattern, use the wrap and turn method if closing the gaps is desired. Note: Number the pegs on your loom for ease of following the pattern. Knit from peg 1 to 12. Turn. Knit from peg 11 to 2. Turn. Knit from peg 3 to 10. Turn. Knit from peg 9 to 4. Turn. Knit from peg 5 to 8. Turn. Knit from peg 7 to 4. Turn. Knit from peg 5 to 9. Turn. Knit from peg 8 to 3. Turn. 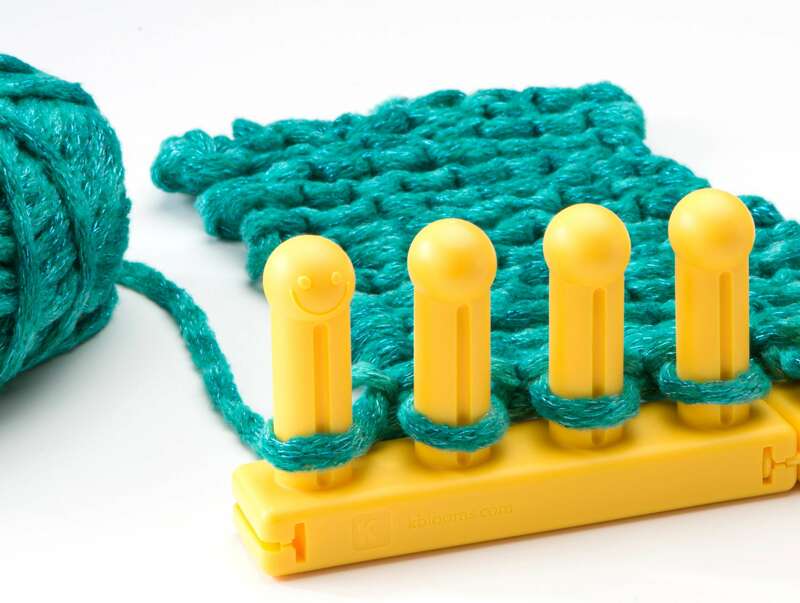 Knit from peg 4 to 10. Turn. Knit from peg 9 to 2. Turn. Knit from peg 3 to 11. Turn. Knit from peg 10 to 1. Turn. Note: For a longer stocking foot, knit additional rounds until desired length is achieved. Repeat instructions for heel in CC2. Bind off with basic removal method. Leave enough yarn to sew up the toe. Turn stocking inside-out. Using the mattress stitch, close the toe by sewing together stitches: 1 & 24, 2 & 23, 3 & 22, etc.… to end of toe (stitches 12 & 13).